Review by AllTheBestFights.com: 2015-06-27, pretty good finish between Lyoto Machida and Yoel Romero but it is not enough to get three stars: it gets two (UFC Performance of the Night). The black belt in karate and Bjj and former Ufc light-hw champion Lyoto Machida entered this fight with a professional mma record of 22-6-0 (50% finishing rate) and he is ranked as the No.4 middleweight in the world but he lost two out of his last three bouts: against #1 Chris Weidman in 2014 (=Weidman vs Machida) and with Luke Rockhold in 2015 (=Machida vs Rockhold). 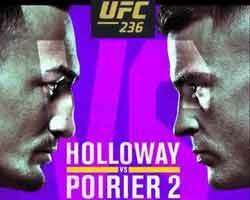 Between these two fights he defeated CB Dollaway (=Machida vs Dollaway). His opponent, the 2000 Olympic Mw silver medalist in freestyle wrestilng Yoel Romero Palacio, has an official record of 9-1-0 (89% ko/tko victory rate – he has never won via submission) and he entered as the No.9 in the same weight class. He suffered his only defeat in 2011 when he fought against Rafael ‘Feijao’ Cavalcante, since then he has won five consecutive fights beating Tim Kennedy in his last one (=Kennedy vs Romero). 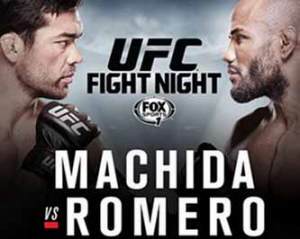 ‘The Dragon’ Machida vs Romero is the main event of UFC Fight Night 70. Watch the video and rate this fight!